Perfect for a Ceremony or Reception. Description:This design measures 6 feet in height and has a frontal view. Flowers used are Glads, Lilies, Roses and greens. 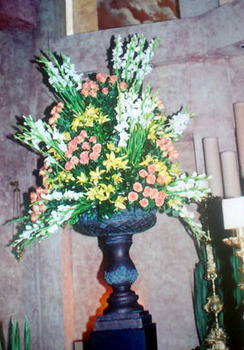 This urn and the pedestal or similar ones are included for rental. Colours can be changed.